Damascus (AFP) - The Syrian government on Thursday blasted deadly US-led coalition air strikes on pro-regime forces in the country's east as a "war crime". In a letter addressed to the United Nations Secretary General, the foreign ministry said the attack "represents a war crime and a crime against humanity". It accused the United States of using "the excuse of fighting terrorism to set up illegitimate bases on Syrian territory". "The Syrian government renews its call to dissolve this illegitimate coalition," it said. 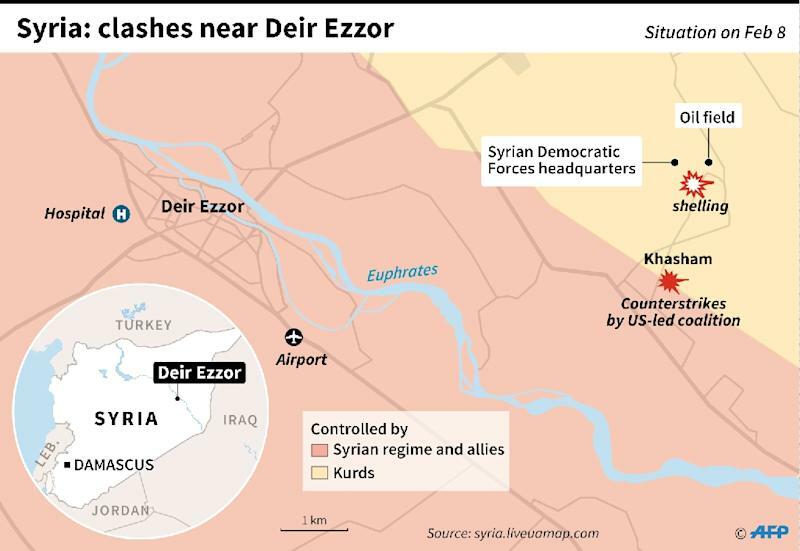 The United States said the international coalition carried out air strikes against pro-government fighters to defend its allies in the eastern province of Deir Ezzor. It accused Syrian pro-government forces of initiating an attack on the US-backed Syrian Democratic Forces (SDF). The SDF and the coalition targeted the attacking forces with air strikes and shelling after "20 to 30 artillery and tank rounds landed within 500 metres (yards) of the SDF headquarters location", a US official said. More than 100 pro-regime fighters were killed, the official added. Doctors spoke in hushed tones as they examined wounds to the fighters' chest, head, and arms. The US-led coalition was established in 2014 to fight the Islamic State group in Syria and Iraq, but it has bombed troops loyal to Damascus on several occasions.